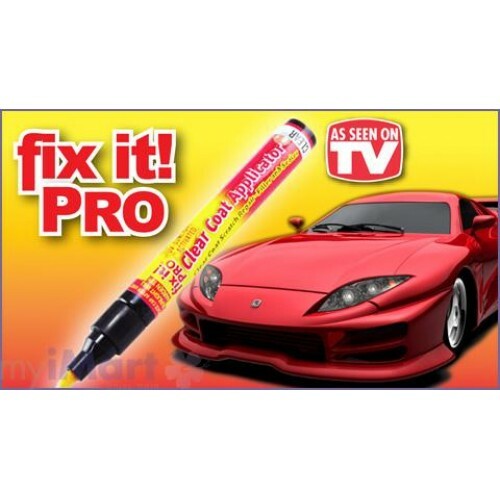 Short Description: Fastest scratch repair filler and sealer that safely repairs scratches from your vehicle surface quickly and easily. Fix It Pro is the fastest scratch remover that safely removes scratches, dings... and nicks from your car\'s finish quickly and easily! Fix It Pro is a fast-acting formula that uses millions of microscopic polishing agents to penetrate the scratch and restore your car\'s original shine and finish in just seconds! Features/Benefits: Fix It Pro works on any car, in any color. 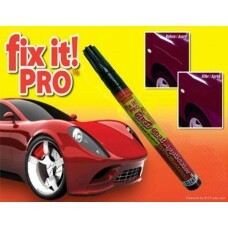 Fix It Pro penetrates deep into the pores of the surface, to restore your car's original color and shine.